Internet Information Server (IIS) is included with Microsoft Windows 2012 and can be installed either during the installation of the operating system or afterwards. 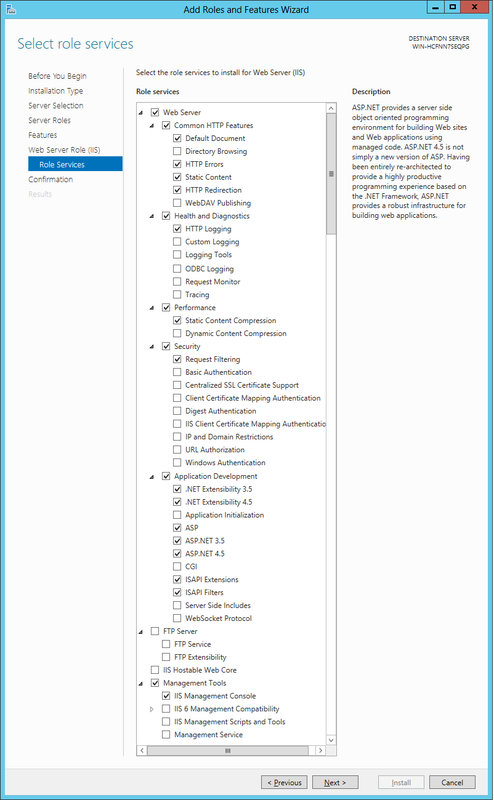 There are several IIS options that must be enabled in order for StaffMap to run. Do the following to ensure that all of these options are enabled. Click the Server Manager icon at the bottom left corner of the screen. Click the Add roles and features link. Click Next when the 'Before you Begin' screen appears. Ensure that Role Based is selected on the 'Select Installation Type' screen and then click Next. 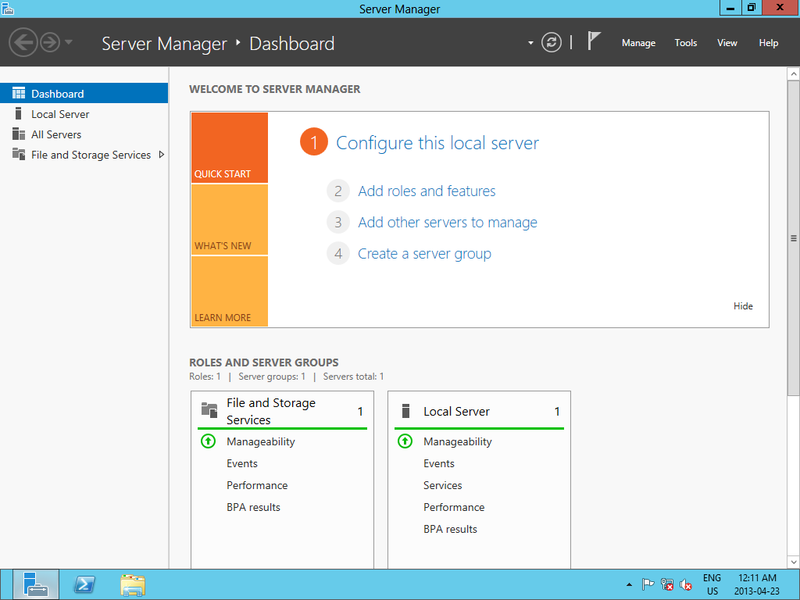 Ensure that Select a Server is selected on the 'Select destination server' screen and then click Next. 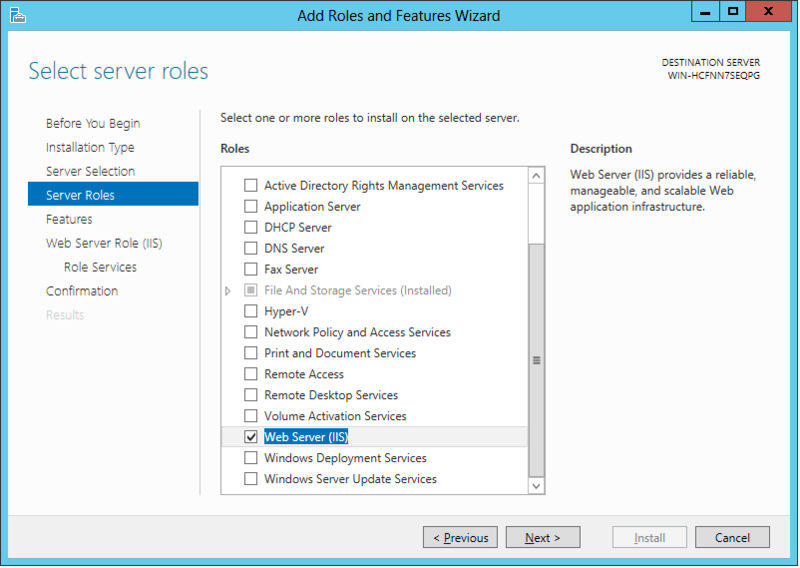 Select Web Server (IIS) and then click Next. Click Next to install the selected IIS options.